In thinking about concepts that might end up forming the basis for my MDM course starting in a few weeks I had this little idea over the weekend. 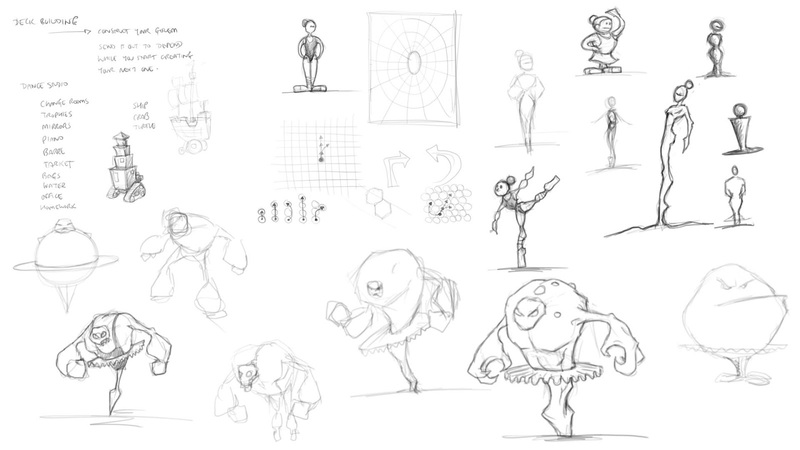 Dance Golems would revolve around a dance studio with a group of the students (mostly girls like any dance studio) who are trying to juggle homework and dancing and uniquely to them creating golems to send out to defend the studio from the nasty robot ninjas etc. 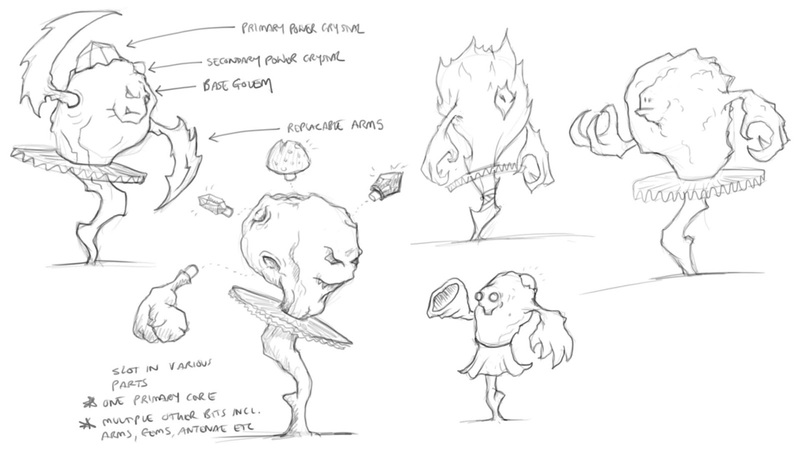 You can see below the idea that you plugin options onto your golem before you send it out. If you do this based on card draws matching your golem mixed with purely aesthetic choices that are just for fun then it should be a fun part of the game. 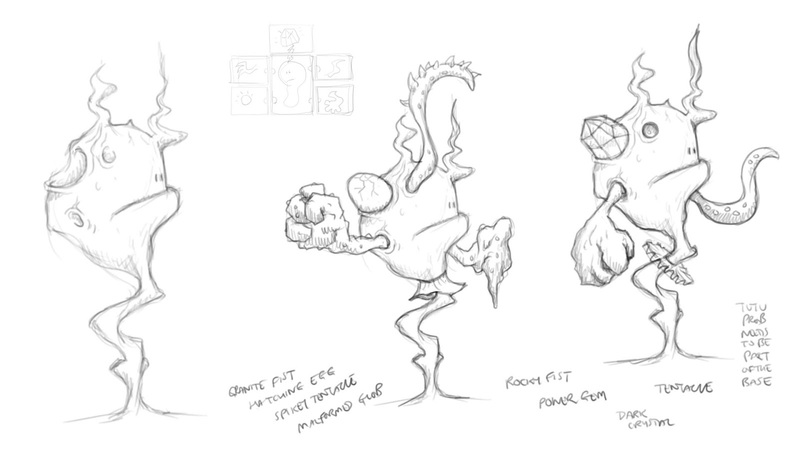 Some elements like the power core give stats or powers, arms give attacks and other things are just to look awesome.